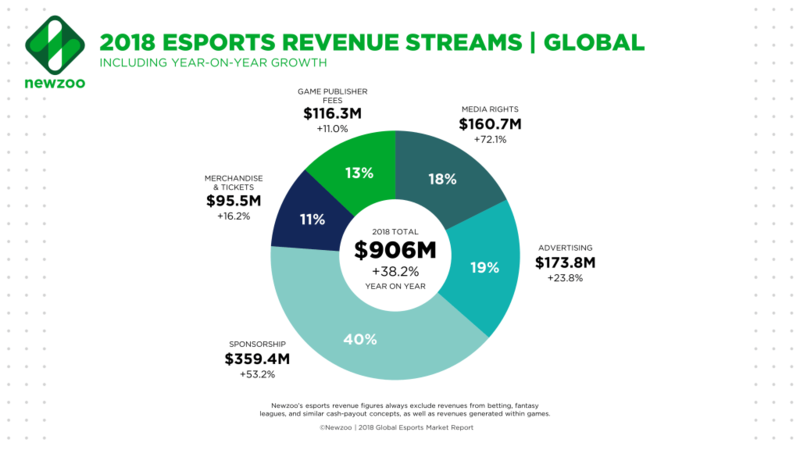 The eSports sector continues to grow at a phenomenal rate with revenues expecting to hit an estimated $900 million by 2019 and it has been confirmed that brand investment has experienced an increase of 48% over the past 12 months. It seems there is no stopping eSports. As player numbers across the industry grow and the number of spectators increases at a rapid pace, the financial rewards for potential investors are becoming more obvious. Forecasts suggest that roughly 77% of eSports revenues will be generated by brand investments. That equates to approximately $700 million by the end of this year. It is a massive share of eSports revenue and shows how important that form of income stream is becoming for the sector. The breakdown of that huge chunk of revenues being created by brand investment consists of $359 million from sponsorships, $174 million through advertizing, and $161 million via media rights and content licensing. $116 million invested by game publishers and $96 million from tickets and merchandize are the remaining sources of revenue that push the figures close to the $1 billion mark by the time this year comes to a close. These latest figures have been collated by the Newzoo 2018 Global eSports Market Report. They are a sign of the heady heights that eSports is reaching. As money invested in eSports will continue to increase, it will allow tournament organisers and developers to offer more lucrative prize pools. Peter Warman, Newzoo CEO, said, “As a consumer phenomenon, eSports continues to grow its huge base of passionate fans across the globe. 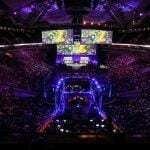 As a business, eSports is now entering a new and critical phase toward maturity. Big investments have been made, new league structures have been launched, sponsorship budgets have moved from experimental to continuous, and international media rights trade is starting to heat up. To put the increase in popularity of eSports into perspective, the annual Dota 2 eSports championship, The International, started in 2011 with a $1.6 million prize pool at Gamescom for its debut edition. Fast forward to The International 2017 and the tournament now boasts the biggest prize pool in eSports history of $24 million. The International 2017 was hosted at the KeyArena in Seattle, Washington, US. Concurrent viewership figures for the tournament reached a record-breaking 5 million. Viewer figures across eSports are expected to rise in a similar trend. 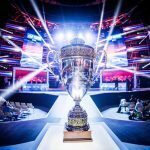 The global eSports audience is anticipated to breach the 380 million mark over the course of this year. This will help take eSports onto the next level. A surprising fact is that even though Asian teams have dominated eSports competitions over recent years, with South Korea proving particularly prolific, it is actually North America that is tipped to remain the largest eSports market in the world. In 2018, the continent is set to see revenues worth $345 million. A major contributing factor towards these figures is the level of sponsorship. The region hosting a large number of the biggest eSports tournaments in the world is also being identified as a main reason. 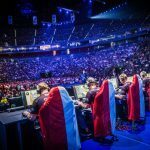 Western Europe will, surprisingly, be the second largest eSports market in the world with revenues reaching $169 million by the end of the year. The local eSports community is stronger in Europe than anywhere else and that is a key explanation for its continued growth. 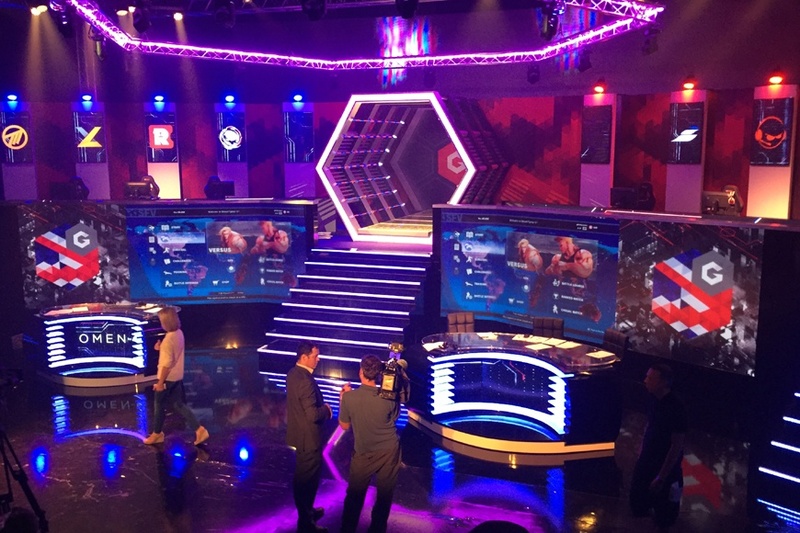 Local eSports league organizers such as Gfinity in the UK, LVP in Spain, and ESWC in France have performed particularly well. Finally, China is tipped to be one of the most booming eSports economies. 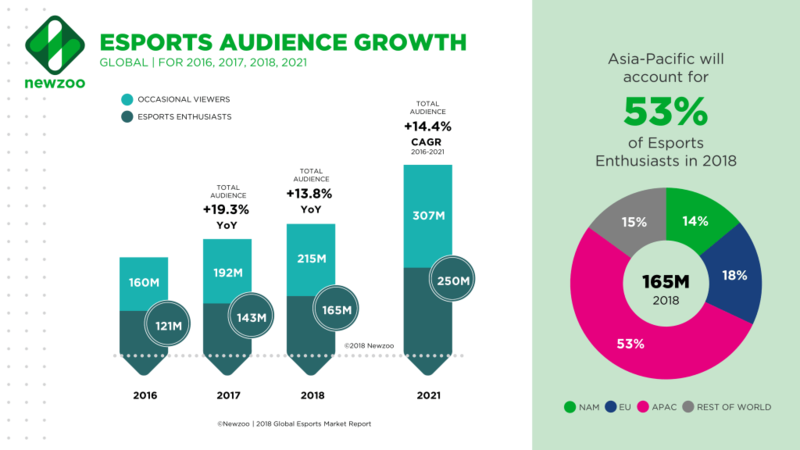 Revenues should reach $164 million during 2018 with an eSports audience hitting 125 million. Mobile eSports is playing a key role in that growth and it will be a market to keep an eye on over the coming years. 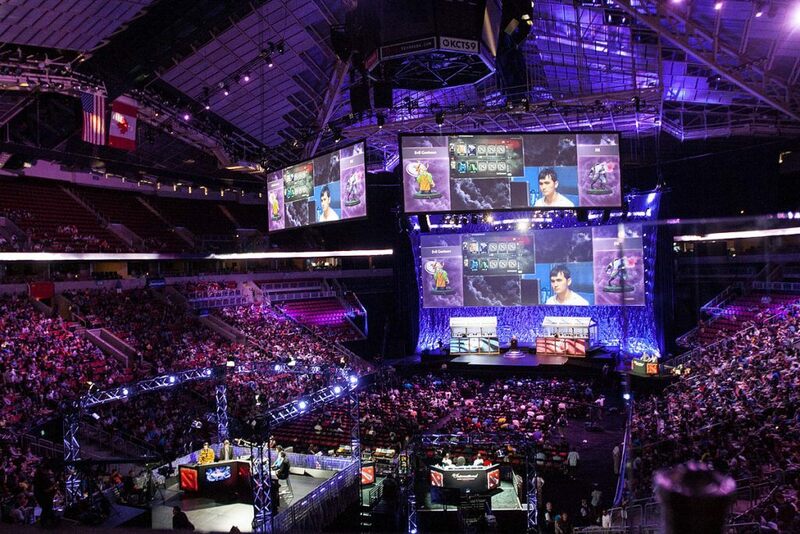 Despite the continued success of eSports, it is still in its fledgling days as an industry. Experts anticipate it could be 3-5 years before the sector fully evolves into a fully professionalized industry across the world. It is still widely felt that it will be another 5-10 years before the industry reaches full maturity as a business sector. When this is taken into account and put next to the projections of the industry potentially being worth $2.4 billion by 2020 then it is a very exciting prospect. However, with conservative projections also predicting that the eSports sector might be worth just $1.4 billion by 2020, there is still a lot of speculation surrounding the future of eSports. 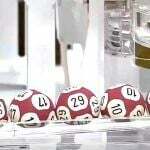 Are eSports the Next Big Betting Thing?